- Removes dirt, fingerprints, insects, bird droppings, tree sap, fine scratches and stains. - May be used on glasses, rubber and bodyworks. 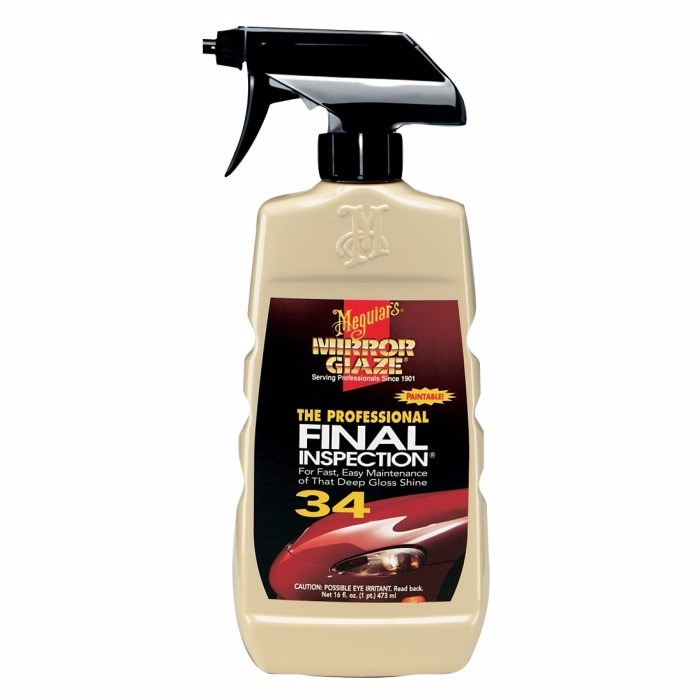 This product is ideal for final finish, is easy and convenient to apply and provides high gloss to the car. Its high lubricity formula is excellent for use with the Quick Clay paste by Meguiar's.